Thelma and Louise. Wayne and Garth. Amy and Tina. We all know life is better with a best friend at your side. Since the early days of our childhoods, we’ve been finding new ways to let the world know who our favorite friends are. From matching outfits to heart necklaces to bracelets we wove at camp, we were eager to single ourselves out from the rest of the pack and tie ourselves to our BFF. Now that we’re all grown up, we need something a little more sophisticated than a few pieces of string to cement our friendships. For all the things that adult friendships have to endure, they deserve a more permanent sign of devotion. 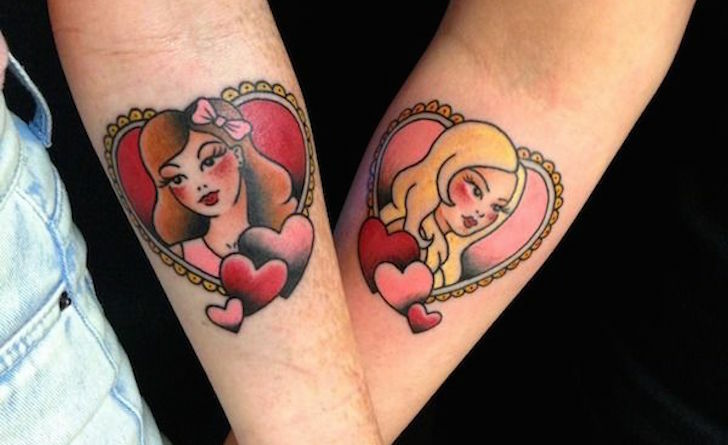 Here are 10 great design ideas for best friend tattoos. Ancient Chinese philosophy used the yin and yang symbols to show how two different but complementary halves can make a whole. 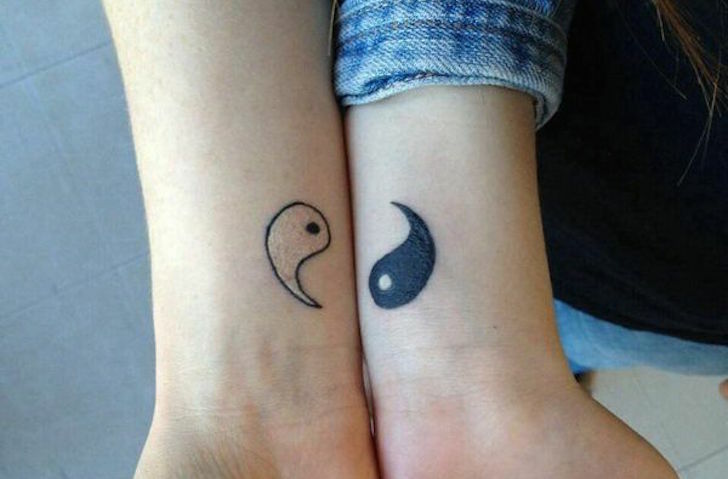 If you and your best friend are a prime example of how opposites attract, yin yang tattoos might be the perfect idea. 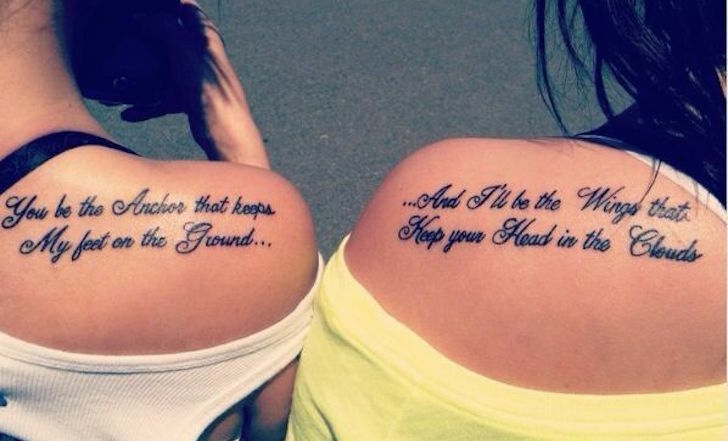 Maybe you have a favorite song or maybe you just found a quote that seems to perfectly capture your friendship. 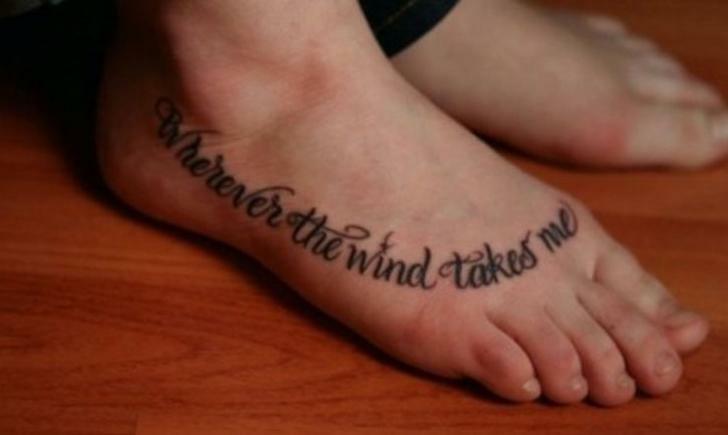 A beautiful script tattoo will showcase how connected you are – you’ll literally be finishing each other’s sentences. The hardest part might be agreeing on a font. Can’t live without each other? 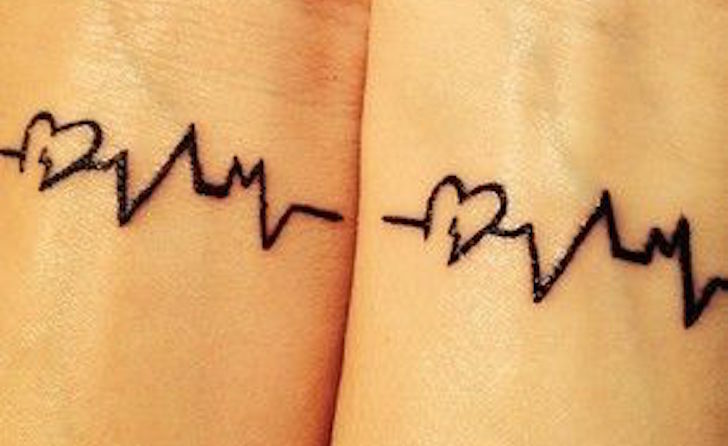 There’s no better way to show that than with matching heartbeat tattoos. Through the good, the bad, and the downright embarrassing, you’ve told them everything. Even if you live hundreds of miles apart, your best friend is never more than a phone call away. 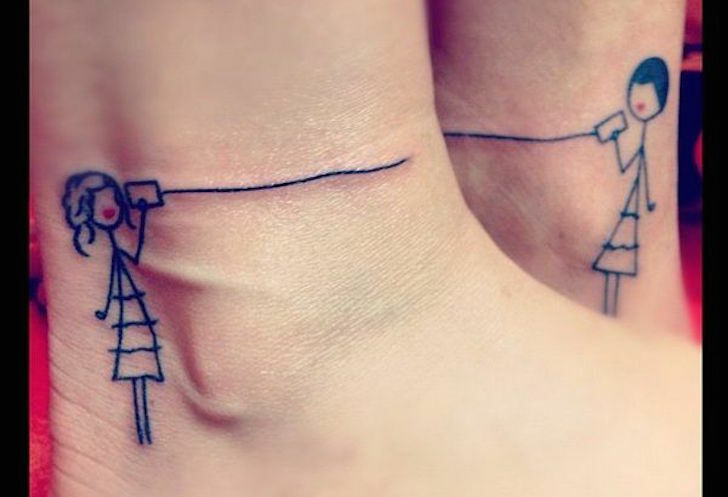 These whimsical characters are an adorable way to commemorate the hours and hours you’ve spent talking. Every child of the 80s had a best friends necklace at some point. Whether you got “BE FRI” or “ST ENDS,” you wore your half a heart with pride. 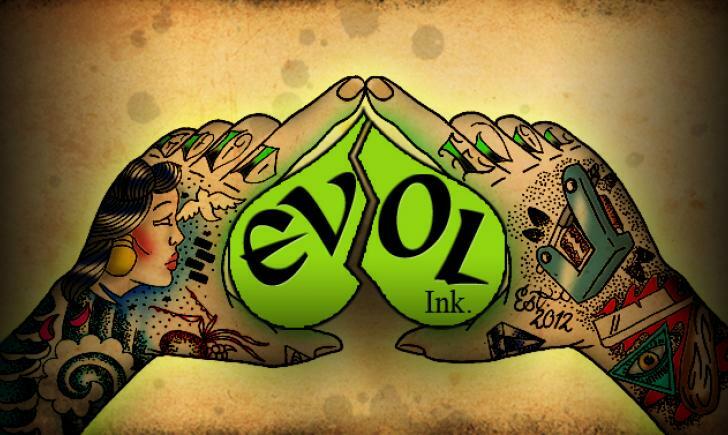 Lucky for you, the popular jewelry trend easily translates into ink. 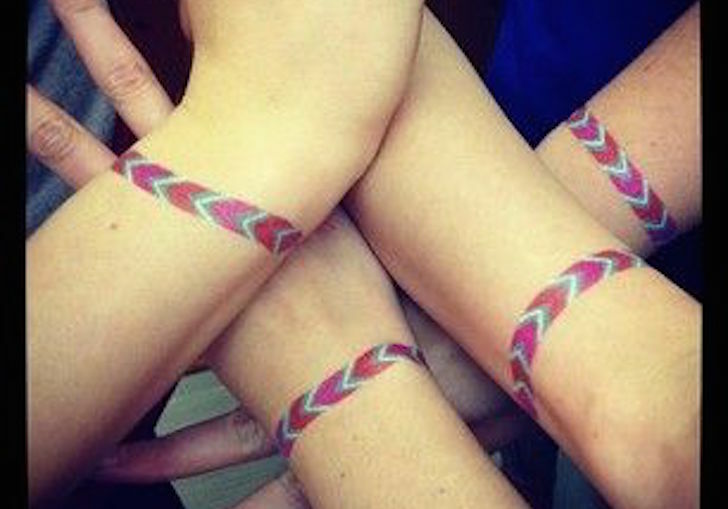 For an even more old-school symbol of friendship, go for the classic friendship bracelet. This is an especially good choice if you have a larger group. It has the added benefit of being able to play around with retro designs and bright colors. Whether you’ve known each other from birth or you met in college, chances are there’s a certain place that’s pretty central to your friendship. 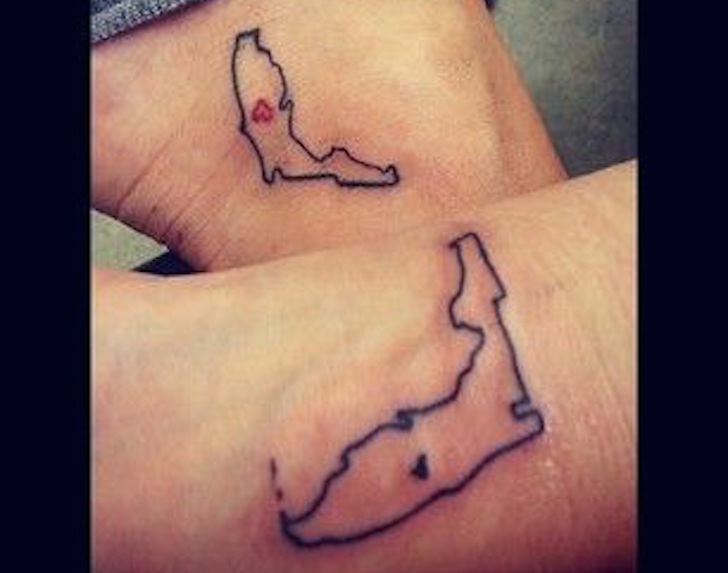 Geographical tattoos are a great way to remember where it all began. 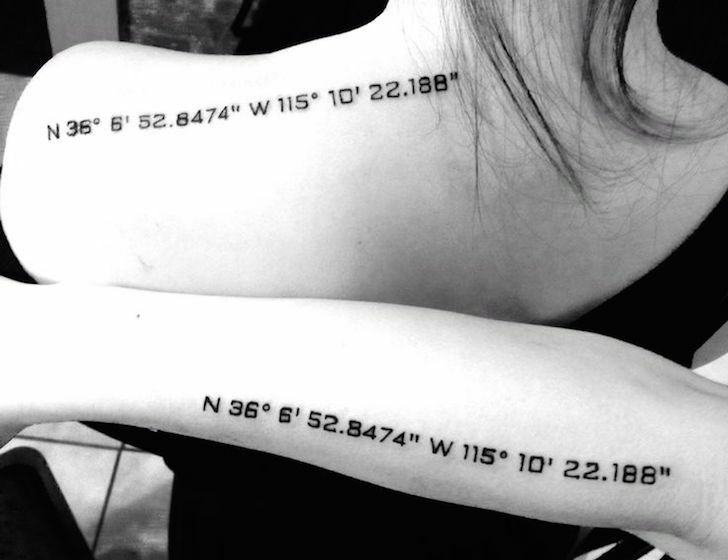 A more sophisticated take on the geographical tattoo, latitude and longitude coordinates are another beautiful way to commemorate a place that is near and dear to your friendship. There is perhaps no more straightforward way to show your devotion to a person than to get their face permanently drawn on your body. 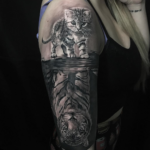 If you’re not a fan of realistic portraits, and American-Traditional style tattoo is a cute alternative. 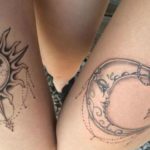 So, maybe you’re not a fan of matching tattoos. 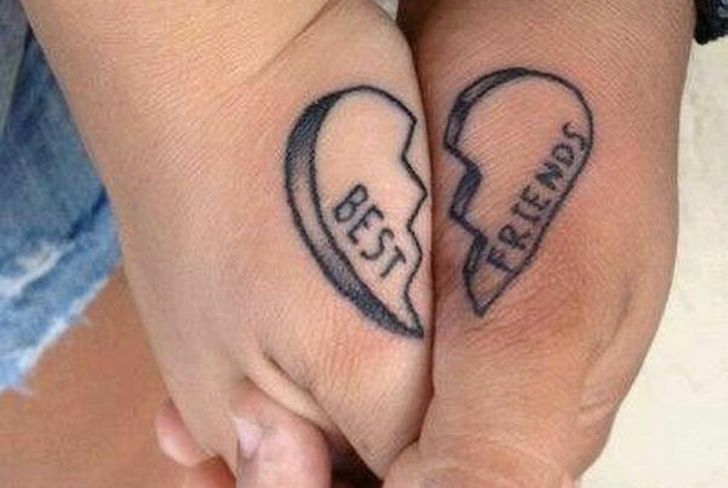 That doesn’t take you out of the best friend tattoo game. 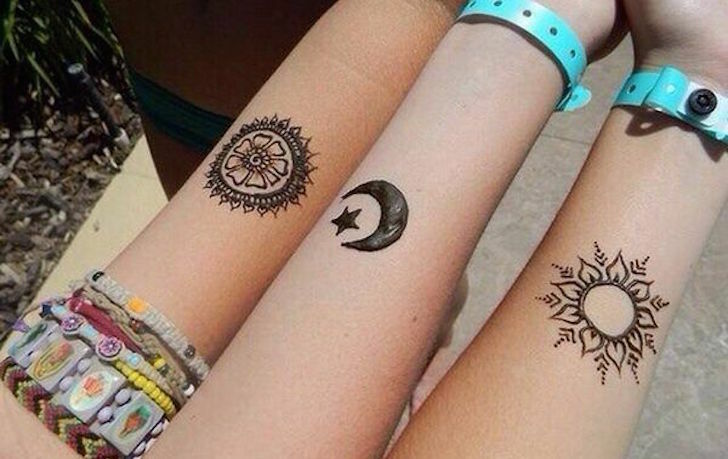 The best thing about friendships is that each one is unique. Pick a theme that you all enjoy and go for designs that complement each other without being identical.